Epic Games and Warner Bros Interactive have announced that Fortnite Battle Royal is getting a physical version in November. The physical version will be available for PS4, Xbox One and Switch and will be called Fortnite: Deep Freeze Bundle. It will retail for £24.99 and will be available from 16th November 2018. 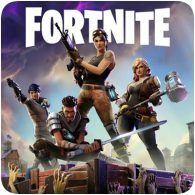 The game won’t give gamers access to Fortnite’s Save The World PvE mode, which is currently only available via the paid digital versions.